It’s exam week at our Mersin program site and our teachers and parents are hard at work showing off all they’ve learned over the past 12 weeks. From dispelling beliefs that parents are to blame for a child’s autism to discovering functions of behavior to teaching new academic and independent living skills, this group has covered the spectrum of evidence-based practices for autism interventions. Rama is a first grade teacher with a classroom of 45 children. Rama has a child in her class who she suspects has autism. Which of the following can Rama NOT do? Amjed does not use words to communicate but has started pointing to a bottle of bubbles in order to get his mother to blow the bubbles. Amjed makes some sounds and his mother’s goal is to teach him to make verbal requests. What is the next step his mother should take when teaching him? Which of the following are TRUE about fading prompts? You are teaching Ali to eat melon and he is able to hold the fruit and smell it. What would be an appropriate next step to teach and provide reinforcement for? You don’t need to provide reinforcement for eating. Did you know the answers? Muna, Mother of Haya, age 7: I want to ask a specific question about Haya. During mealtime, she likes to take her iPad and play with it. However, while she is doing this, she eats in the correct way. 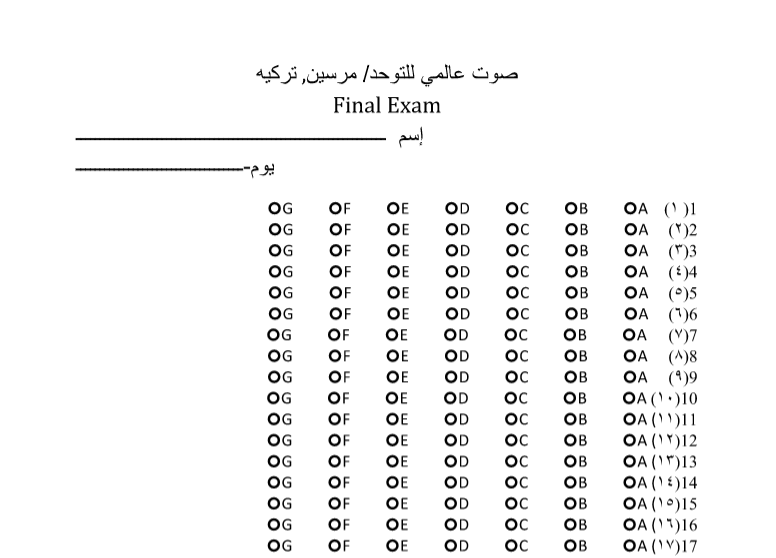 Is it okay to continue like that? A Global Voice for Autism Team: I am sure that all of us look at our phone or do something else while we’re eating sometimes. 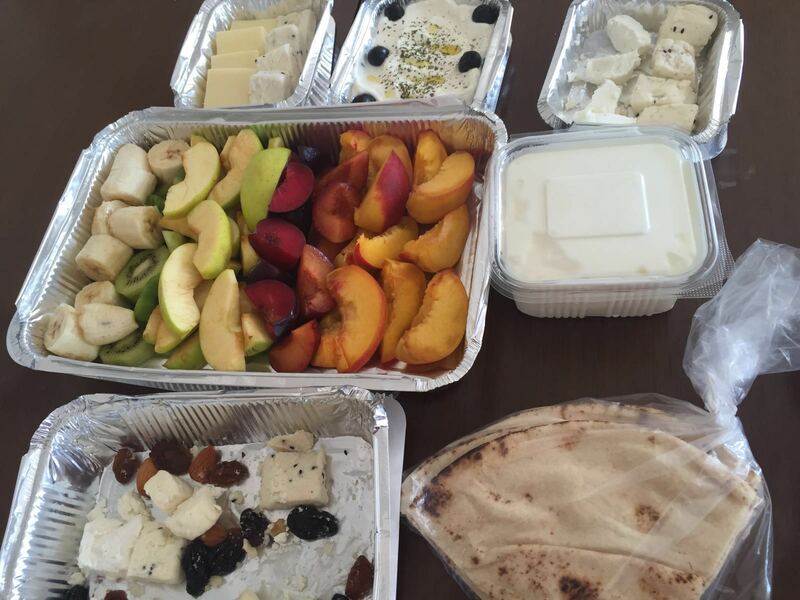 Like you said, if Haya is still eating appropriately, then it’s not something to be too worried about. However, if you do have a situation in which you need her to eat without her iPad, she is likely to find this very difficult if it is part of her routine to have her iPad. 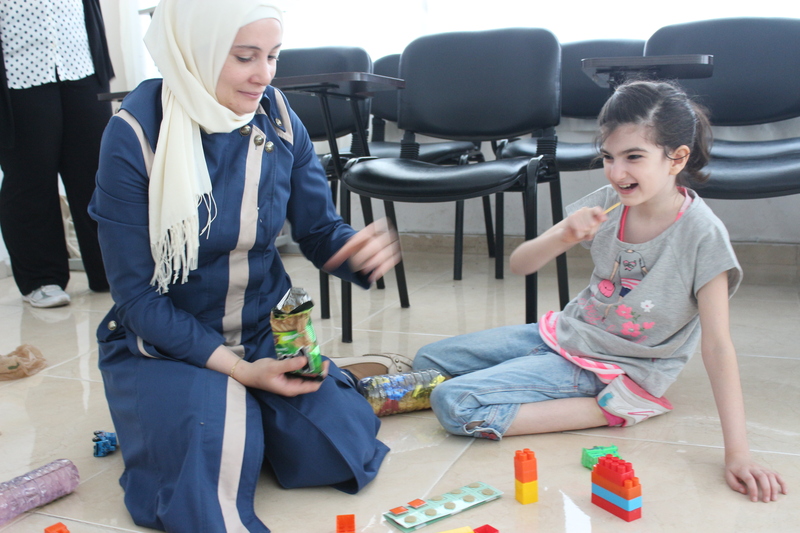 Soumia, Primary School Teacher: I heard that children with autism have low appetites. However, the child with autism that I know never stops eating unless we remove the food from him. Can we use imitation skills to teach meal skills. For example, can I hold his hand or have him model how I eat? A Global Voice for Autism Team: Some children with autism have low appetites, but not all children with autism. It’s also not unusual for children with autism to eat a lot, like the child you know does. Food is naturally enjoyable (reinforcing) for most people, and it can be hard for children with autism to manage their food intake. They may not understand social rules around how much to eat and may not understand the implications of their decisions, such as the need to eat a balanced diet to remain healthy. If a child is able to understand pictures, you could show him pictures of what he can eat (this could include quantities) and only allow him to eat that amount. You could also build some choice into it so that he can choose some of his food. You could use imitation to teach him to eat slowly, using a spoon or fork if he is eating the food that he has too quickly. When he eats at a slower speed, even if just briefly to start, then you can provide reinforcement. Rula, Primary School Teacher: Is there a specific diet for children with autism? Are there certain foods that children with autism should or should not eat? A Global Voice for Autism Team: Eating healthy foods is always a good idea for any child as it can improve concentration and keep them feeling good. However, there is no specific diet for kids with autism. Like all children, some kids with autism have sensitivities to things like gluten (found in bread and flour) or lactose (found in most dairy products). If you see that a child seems to be sick/uncomfortable after eating certain foods on a regular basis, it’s a good idea to check with a doctor to see if the child might have a sensitivity to those foods. You can also try removing a food from a child’s diet for a period of time (10 days) and see if the child appears to feel better. Then, try adding it back in and see whether the child seems uncomfortable/sick after eating it. You can do this for any child, not just children with autism. Do you have questions about feeding and meal skills? Comment on this post with what you want to know! Life is a series of unforeseen circumstances. The families and teachers in our Mersin program could tell you about a war that swept through their country and their lives, causing everything to devolve beyond their wildest dreams. And yet, they found a way to continue their lives, packing up their surviving family members and heading for a new life in a foreign country, doing everything they could so that, at least for a little while, their children could call Turkey “home.” But life is a series of unforeseen circumstances. 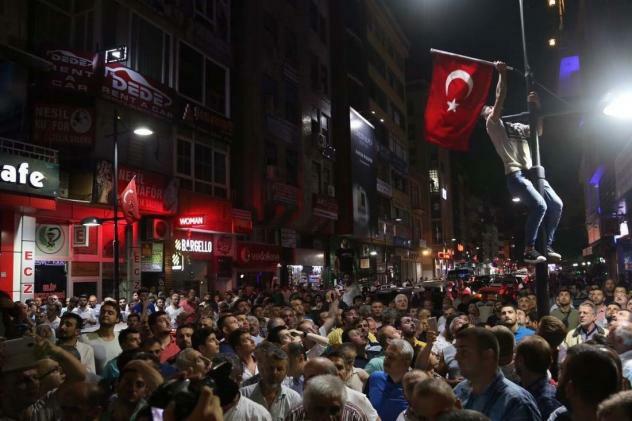 On the night of July 15th, a coup attempt rocked Turkey at its core, resulting in roundups of military, government personnel and teachers, and ultimately forcing our team to make the heartbreaking decision to evacuate two weeks before the scheduled conclusion of our program. Nonetheless, our program participants were committed to continuing their learning, and we were committed to continuing to teach them. Our team gathered with all of our Mersin participants over Skype and did what our Mersin team does best…we found a solution. Now, on Mondays at 11a.m. our parents and teachers log in to a private Youtube channel where they watch recorded versions of the presentations we had planned on giving between the evacuation and August 18th. At 2p.m. Turkey time, they gather with our team, now spread out around the world, via Whatsapp for a live Q&A session about the presentation. On Wednesdays and Thursdays, our cooperative group leaders show off their leadership skills, gathering their groups at the center where we work for group-led practice sessions. They take turns working with the children in their groups while other group members take videos of their work that they send to our team for feedback and suggestions…We are amazed by their initiative, and when we watch their videos, they are mastering everything! They don’t even need us! These days in their support groups, the families are working on coming up with new activities that they can do together with all of their children. The parent group is creating an encouragement book that they will write in and pass from family to family every week while the siblings are writing a story about their autism sibling superpowers. They have lively Whatsapp discussions based on prompts we send out on Monday evenings. Yesterday’s prompt was: “Where do you find community? Which communities do you belong to? Are they accepting of your child with autism? What do you enjoy about each of these communities? What do you wish was different? All of the mothers listed A Global Voice for Autism as one of their communities! 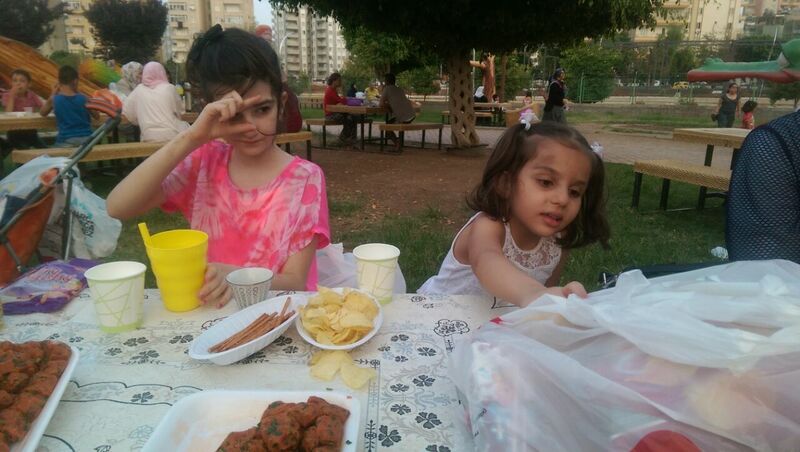 And if that’s not enough, the families are organizing their own picnics, playdates and social events for the group. They really don’t need us anymore…and for us…that’s our dream come true! 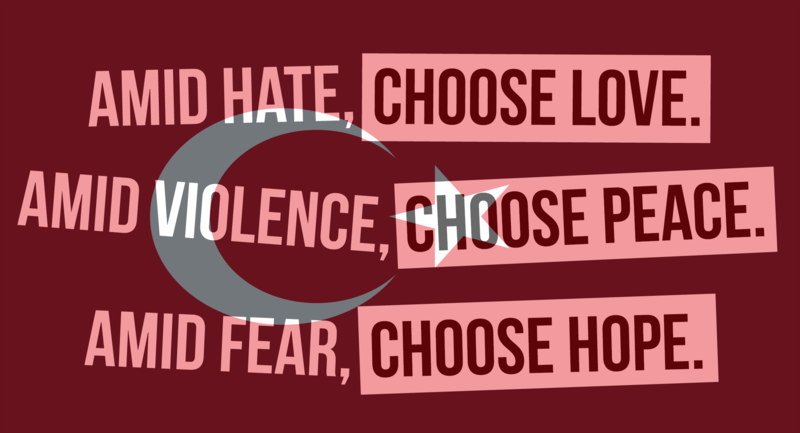 Hate, violence and fear have all found themselves on the Mersin agenda over the course of this summer, and still, the families and teachers we serve are choosing love, peace and hope every time. Happy Birthday to Somali Community BCBA, Laura! Today, we are taking a break from our Mersin program coverage because…it’s our Somali Community BCBA Laura’s birthday! And if that’s not enough evidence of Laura’s impact on the community, try this: She’ll be celebrating her birthday by leading a Jeopardy game for our families tonight. Today, we are excited to introduce you to Maram, a primary school teacher who is already including a child with autism in her classroom a few days a week. Maram has had near-perfect attendance throughout the program and her passion for supporting children with autism shines through in her care for her neighbor with autism as well as her dedicated work with the children in her cooperative group. I learned that it is wrong to a tell a child an instruction in a negative way because when I do that, he still does not know what I want him to do. Now I tell a child what I want him to do instead of what I don’t want him to do. I used to think that I should keep repeating instructions to children with autism so that they can understand but it turns out that the more I repeat it the more I distract him. Either he doesn’t understand me or he understands and doesn’t want to do it so I have to use different approaches. I used to reinforce by giving the whole big thing to reinforce the children in my classroom. Now I know that I should partially reinforce every behavior until the students reach the goal that I want them to achieve. Before I thought children with autism could not improve or learn new skills but now I know that children with autism can learn and can be very smart. I can teach them any skills that I want them to know how to do. Since we are in a war zone, people with autism are facing many difficulties. My personal goal is humanitarian. I want to at least contribute in a small way by being able to teach these children so that they can make improvements. Of course I would recommend this training to teachers. Many teachers applied but there were limited slots in the program. It is very beneficial and can improve teachers’ skills.